“My Wife and I (still getting used to saying wife 🤣) had the honour and privilege of having Sinead as our photographer for our Wedding and Engagement shots. We could not have been happier with the results. Sinead has an ability to catch moments with perfect timing, as candid shots can turn out to be the best photos. Organising photos to be taken in the best locations, using smoke effects at the right times and even just beautiful shots of the decor of our wedding, Sinead did an amazing job. 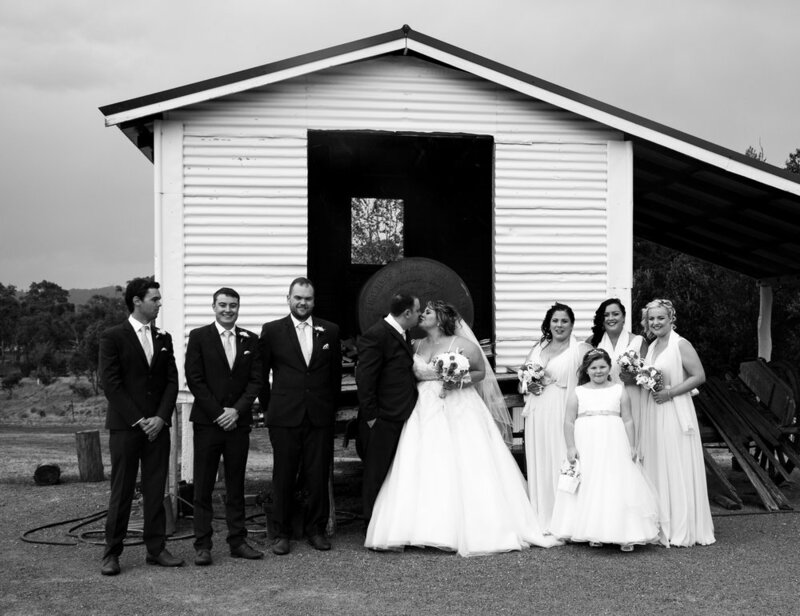 "We feel so privileged to have Sinead photograph our special day! She arrived early to get photos of the Bridal Party getting ready! She then went over to be with the groom & groomsmen took photos of them! She was more than willing to travel for us! 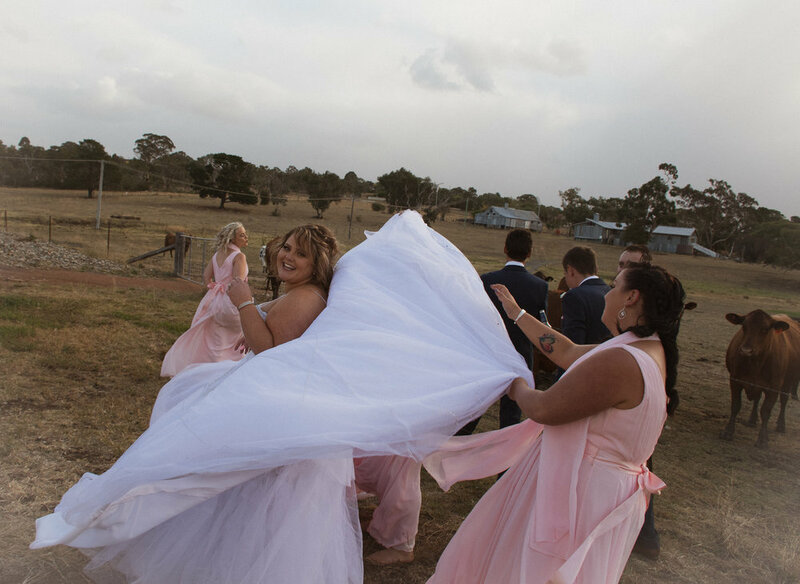 During our ceremony it was quite windy - but she still managed to capture the most wonderful photos! When we went off to get our bridal party photos taken, with all of us - it was raining & windy and just unpleasant weather. But again, she took the most amazing photos! "Sinead took photos for our wedding in September 2017. Wow! We are extremely pleased with how our photos turned out. She was able to catch some moments that were more candid than the "standard/stereotypical" wedding shoot. We both absolutely loved her artistic style and she was very easy to work with. Not long after our big day we received a printed hard copy album that she had put together of the highlights and a digital copy of all the photos, all as part of the package we chose. We also got a few sneaky polaroids, which were a complete surprise. They have that grainy charm to them which really captures the atmosphere. One of my favourite shots is of me dancing with my niece who had been a flower girl for us. I did not even know the camera was on me, so the smiles and happiness are completey natural.